Great art is always hard to find, so we are delighted to have sourced a collection of really stunning and unique prints ready for framing. 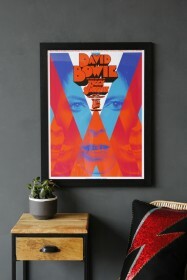 Our stunningly unique fine art prints take their inspiration from nature, pop culture and the imagination to create vivid, bright and often surreal images. 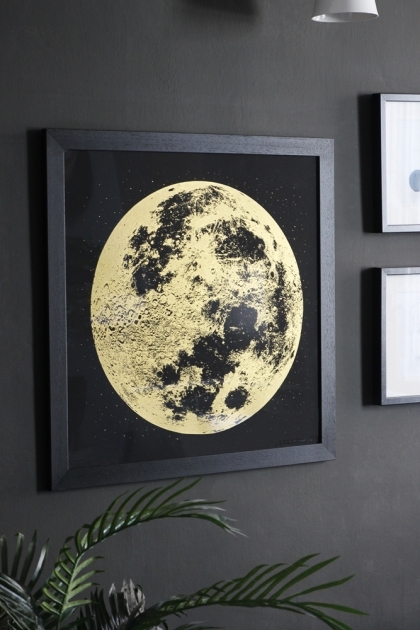 We can all appreciate how beautiful the moon is but the stunning contrast of the gold on black in this hand printed art print really highlights its beauty! 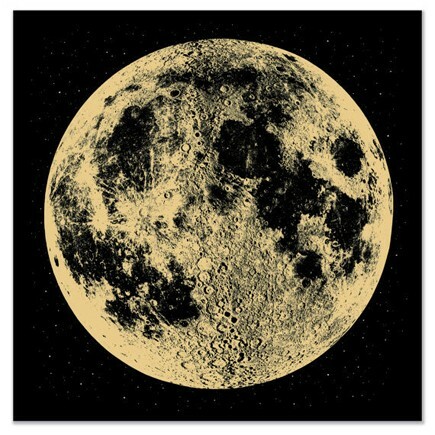 Pair with other black and gold prints for a glamorous gallery wall or hang alone to let the moon captivate your guests. Each print is signed on lower right in pencil by the artist Christy Nyboer aka A Little Lark.